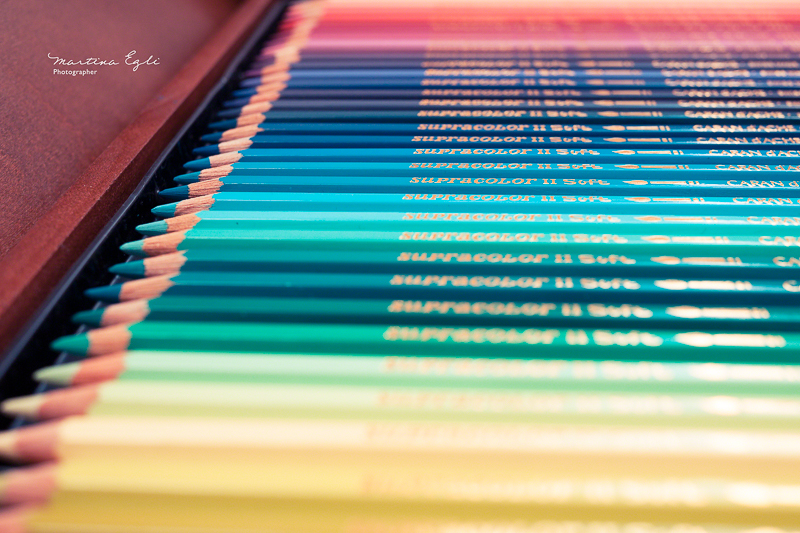 There’s something about pencils that I love. Ever since childhood I’ve relished breaking open a brand new box of coloured pencils. I think it’s a combination of factors, the smell of the wood, the vibrant colours and the promise of artistic endeavor. The only problem I have, is that they look so beautiful in their rainbow coloured rows, that I can hardly bring myself to use them! I remember as a child, my mother bought me a large wooden case of carandache pencils. Every day I would carefully crack open the box, take in the sight, the wonderful smell, and dream about what I could create with them- then I would put them away for safe keeping- They were so perfect! This ritual lasted for weeks and it took some gentle prodding from my mother, who reminded my that “as beautiful as the pencils may be, the product of my imagination would be more-so” for me to finally use them. I’d like to say that I never looked back, but if you’ll excuse me, I have some pencils to go and look at. Although, I prefer the warmer colors, this picture is perfect.